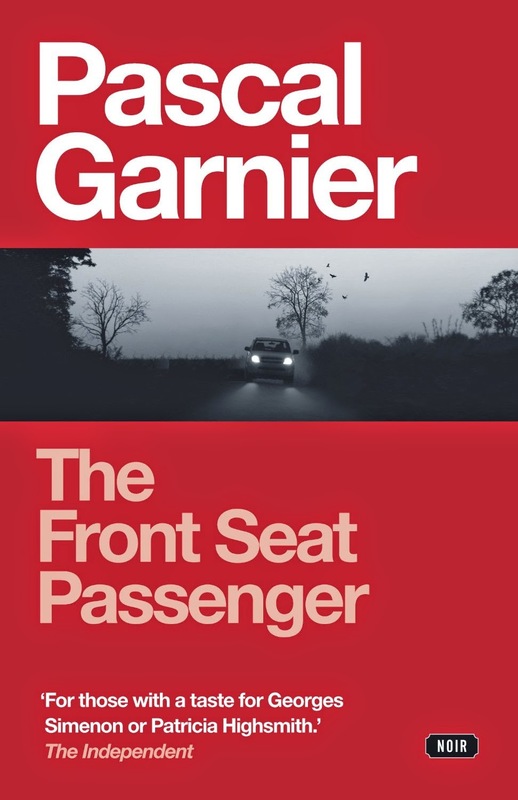 Pascal Garnier's 2010 novel La place du mort (the title literally means "the death seat," I think) has just been translated into English as The Front Seat Passenger (Jane Aitken is the translator and Gallic Books is the publisher). Garnier is an amazingly economical storyteller: he packs an amazing amount of menace, humor, and violence into 139 pages, and he does it in the milieu of an ordinary man whose orderly life is upset (twice). The novel begins with a traffic accident, and then moves to the point of view for the rest of the book (told in the third person): Fabien, whose marriage to Sylvie has become more a matter of routine than love. But he hardly expects to discover that while he has been on a reluctant visit to his father, Sylvie has been killed in a car driven by her lover, whose existence he had never expected. A good deal of the rest of the book involves his stalking of the dead lover's widow, without a clear motive. He moves in with his friend Gilles, who is estranged from his wife, and the son of that broken marriage, who spends a lot of time with Gilles. The three males develop a sort of all-male family (with all the maleness that one might expect, with considerable comedy), but Fabien continues to stalk the widow in secret, eventually following her and her constant female companion on their vacation, where he meets them under false pretenses. Once he meets them, the tone gets edgier, building toward a violence that the reader knows is coming yet is nonetheless unexpected. There are several abrupt twists, with Fabien always the front seat passenger in the journey, since he doesn't drive. Each of Garnier's novels is quite different, but each portrays a life that is very ordinary in most ways (even his novel about a hitman), but twisted out of the ordinary into the nightmare along the way. 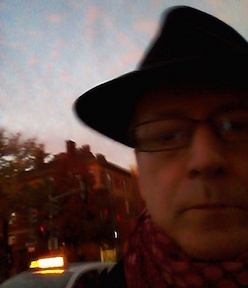 In addition to comic scenes, there is a comic aspect even to the violence, in the intricacies of the plot and the close analysis of the characters involved. The cover blurb compares Garnier with Patricia Highsmith (though his writing is tighter than hers) and Georges Simenon (though the comparison is apt for his "serious" novels, not the Maigret series). But Garnier is quite unique, in a very French and philosophical manner.